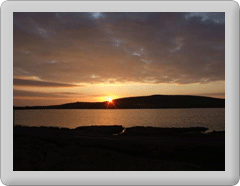 Fetlar Wind Ltd, a Community Benefit Society recently launched their share offer in Fetlar. Looking to raise a total of £223,000 to build 2 x 25 kW wind turbines. These turbines will be connected to the Fetlar Green Energy scheme, a micro heat and power distribution system. While there will be some limited export facility, the idea is to try and use the electricity generated locally. Two thermal srores built by Shetland composiste will provide the main energy buffers for the system. The fetlar electric minibus will also be charged using the renewable energy produced, allowing the minibus to operate virtually carbon free. Due to very recent changes in the tax rules the closing date for the share offer has had to be brought forward to the 20th of November. If you are interested in a community and environmental project which will also provide you a reasonable rate of return, of up to 11.7% IRR, visit the website www.fetlarwind.co.uk and download a copy of the share offer document.